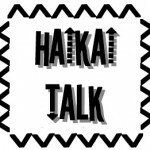 Haikai Talk is an unmoderated discussion group and mailing list. Membership is open to everyone with a serious interest in haikai in the English language. While haikai is taken to mean haiku, haibun, senryu and renku (haikai-no-renga), the scope of the group is such as to include all poetic forms originating in Japan and written in English, such as waka, tanka, ushin renga, and zekku. 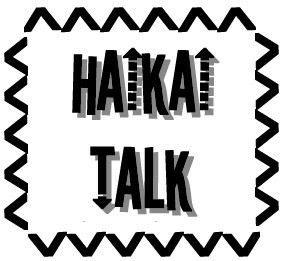 Haikai Talk is a place for active engagement – for debate, drafting, and critique. It is not intended principally as a notice board for links to external projects. Haikai Talk is dedicated to literature – to creative writing and academic excellence. To join us, go to groups.yahoo.com/group/haikaitalk and follow the simple joining instructions.